Wondering what to do on a snow day? Try snow painting! An essential element of creativity is looking at familiar things in different ways. We want to create an environment that helps our children to experiment, encouraged by the knowledge that we welcome their ideas. 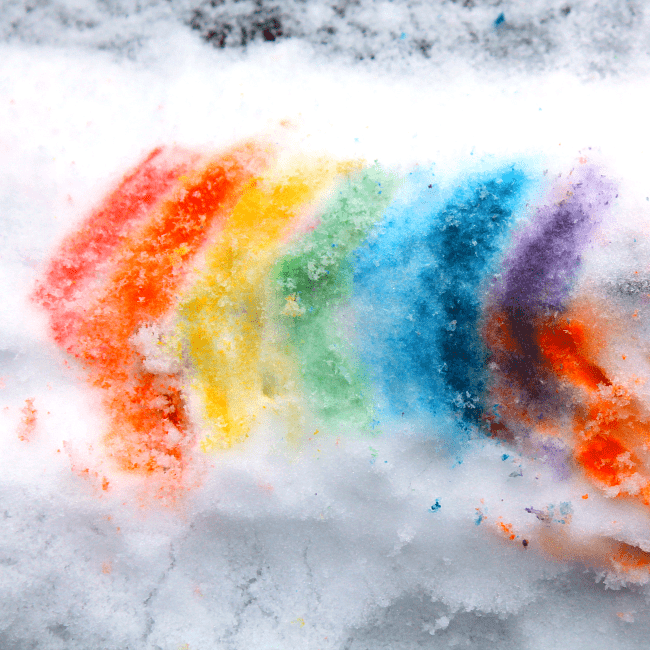 So if they ask if they can take their paints out into the snow – say yes! 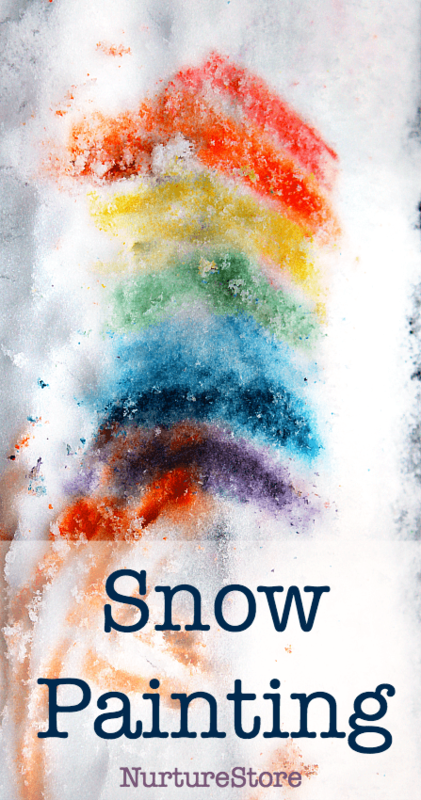 Snow painting is a fun activity to do on a snow day. You don’t need a huge amount of snow to create a canvas. We found that patting down the fluffy snow to make a more compact surface gave us a better texture to paint on. 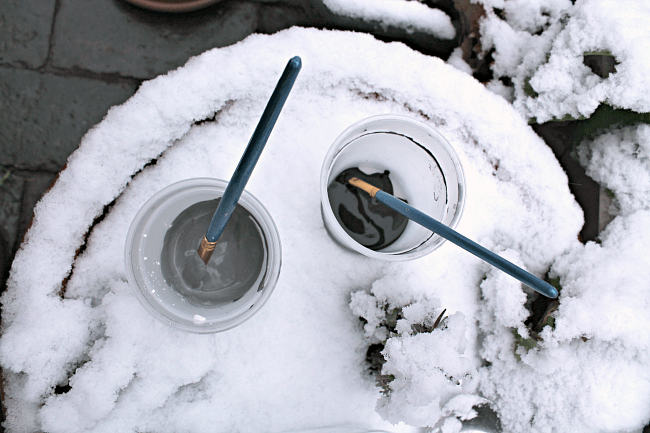 We used our little watercolour tins, picking up some snow on our brushes to blend with the paint before drawing with it on our snow canvas. 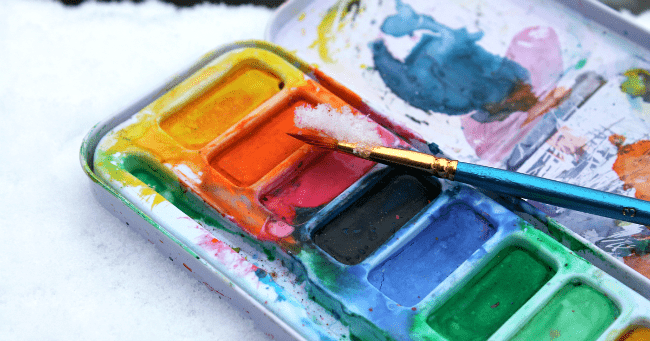 Because snow painting is transient – only there until the snow melts or our picture is covered by a new snowfall – we’re encouraged to value making art for the creative process it is, without a need for perfection, or to create a specific finished product. It’s fun! And so interesting to see how our familiar watercolours look on snow rather than our usual paper. Ideas spark in creative kids’ minds! For this snow art we gathered some of the snow in a shallow plastic food container, patting it down to make a more compact surface. 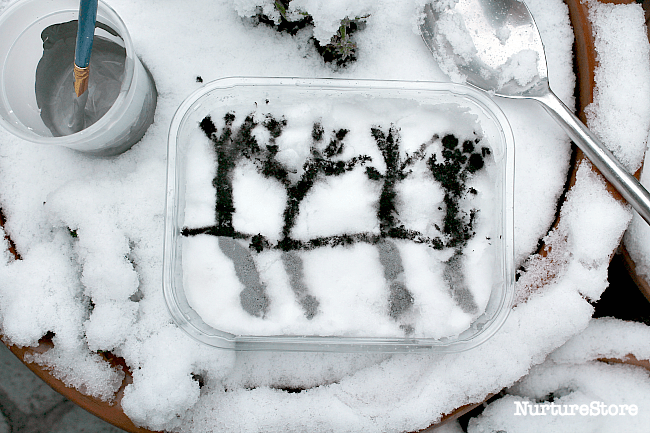 We tried out some dark winter trees casting shadows on a snowy landscape. :: think about what art is – what is a painting? how long does it last? Try these art ideas too! 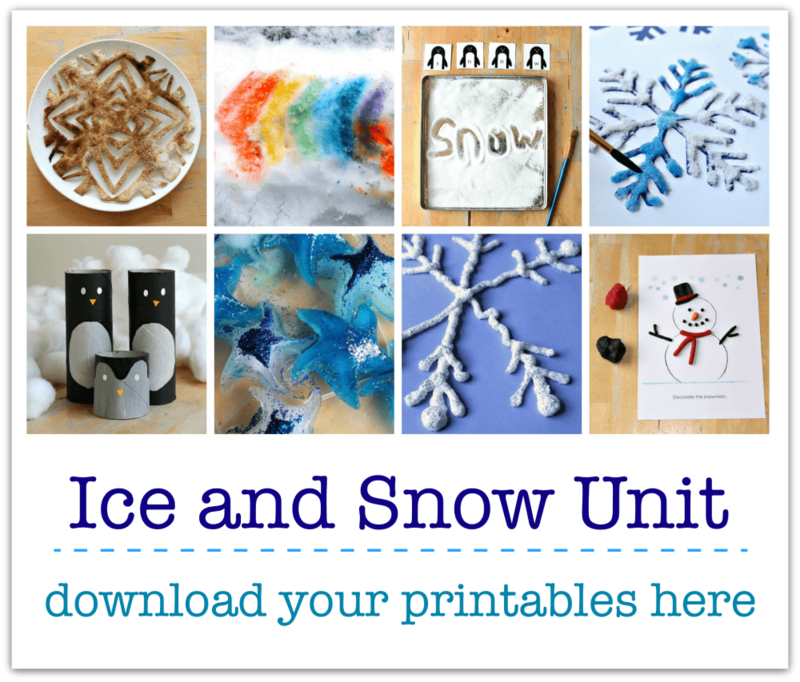 Encourage your creative kids with one of the projects in our extensive archive of art ideas.